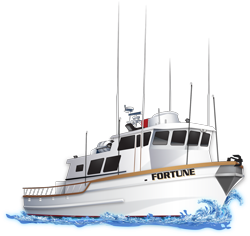 Bob is live from the Fortune out of 22nd Street Landing. Good fishing going on with limits of nice rockfish including plenty of reds. In addition the sheephead and white fish. Then they made a move and found good signs on the seabass. Listen in below for the full scoop, Bob is live. 1.5-Day trips lined up all week long. Next trip is Tuesday night. Call 310-832-8304 for reservations CLICK HERE for a full schedule and book online.